Great service is your biggest marketing campaign! When your employees are trained that the customer is always right, they will handle unexpected situations with the best customer service. A few months ago we were reminded of what great customer service can do for a business. My wife and I had arranged to get away for a weekend to Charlotte, North Carolina to see one of Cirque du Soleil’s latest shows. Having purchased the tickets months in advance we could not have known then that both the Duke and University of North Carolina’s basketball teams would be in town for the opening of the NCAA men’s basketball tournament. As the masses of fans descended upon this little big town hotel rooms became scarce. Given our limited choices of hotels we decided to splurge and stay at The Ritz-Carlton, Charlotte. In doing so, we received a first-hand reminder of what a great customer service organization looks like and what great customer service can do for your business. On Saturday morning we wanted to go out exploring. I realized I had forgotten my sunglasses in our car which had been parked with the valet the night before. Rather than have them pull the car around for my sunglasses I called the front desk and asked if they could run to the parking deck and get my glasses. The answer, “Yes sir, is there anything else I can help you with today?” By the time I reached the lobby the valet was there with my glasses. Later as we were rushing to get ready for the show we realized my wife forgot to pack her hair brush. Again we called down to the front desk. Within minutes a Ritz-Carlton employee was at our door with a selection of brushes from the downstairs gift shop. Does the Ritz-Carlton have systems in place for misplaced sunglasses or forgotten hairbrushes? Probably not. Rather, they simply create an environment that the customer is always right and that they will do what it takes to satisfy their guests’ needs. On our last day we decided to get a work out in. In the exercise room every cardio machine has a fresh towel and bottle of water ready to go for guests. How? About every ten minutes a hotel employee sweeps through the gym, wipes down any equipment that has been used, rolls up a fresh towel for all such equipment and places a fresh bottle of water thereon for the next rider. In short, from top to bottom every moment of the experience at The Ritz-Carlton reminded us of why they are a leader in customer service and why they enjoy the reputation of being one of the finest hotels to stay in the world. So why is this relevant to your business? 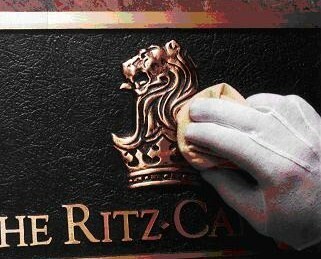 What can we learn from The Ritz-Carlton? The value of becoming a great customer-service organization cannot be understated. 1. Charge a Premium for Your Goods or Services. Where your competitors may compete in a race to the bottom by lowering their prices, a great customer service organization can actually charge a premium for their goods or services. People are willing to pay more for the quality and the level of service they provide. Where would you and your organization rather be? 2. Better Equipped to Handle Customer Issues. Even the best of the best experience customer service issues once in awhile. Obviously we strive to eliminate all such issues prospectively by systemizing everything and training our employees on providing amazing customer service. But despite our best efforts customer service challenges will arise. When they do, if your employees are trained well, they and your organization as a whole will be better equipped to deal with these issues to keep your clientele ecstatically satisfied with the services you provide. 3. Create a Marketing Buzz About Your Business. When is the last time you heard someone recommend something that was just okay? Great customer service creates a buzz about your business which is worth its marketing weight in gold. In essence, great customer service organizations know that as word spreads through their emphatically satisfied customers about the level of service they provide, it will be broadcasted to the relevant consuming public. Before long your business becomes synonymous with a level of service customers want. It creates its own marketing buzz for your goods or services which, in turn, helps you distinguish your business from your competitors. Does all of this work? Well, as we left The Ritz Carlton that weekend sure we paid a few dollars more for our room but we were happy to have done so. They took care of issues which arose during our stay that we did not even anticipate and did it with a smile. As for a creating a marketing buzz, this customer was so impressed he wrote about it on Inc.com. So is it worth it to create a great customer service organization? You bet. Hotel Grata Vilnius or maybe persona non grata? I inspected hotels in Vilnius today together with my guest from Norway. When we arrived at Grata hotel (grata in Latin means welcome) we were unpleasantly met by the reception guy who was not very satisfied when we asked to show us a room. Finally he agreed with his colleague (name Fortunatas) that he shows us around. When we were walking to the room the employee told us: "Don't expect anything special", latter he added "don't expect too much".. meaning it is better not stay in this place. 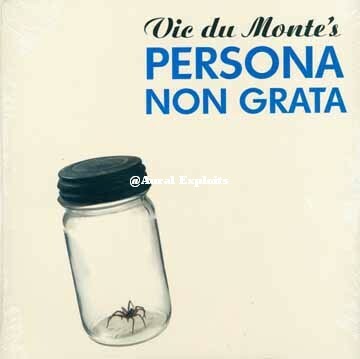 We felt like personas non grata rather than welcome. Pasiklydote klientų aptarnavimo džiunglėse? O galbūt neberandate kelio atgal į kliento širdį? Leiskimės į ekspediciją kartu, kurios pagrindinis tikslas - patenkintas ir lojalus klientas. Pasiklydote klientų aptarnavimo džiunglėse? O galbūt neberandate kelio atgal į kliento širdį? Aš mielai pasidalinsiu su jumis patirtimi ir žiniomis, kurias sukaupiau per pastaruosius keletą metų sėkmingai darbuodamasi klientų aptarnavimo ir paslaugų tiekimo srityse. Leiskimės į ekspediciją kartu, kurios pagrindinis tikslas - patenkintas ir lojalus klientas.